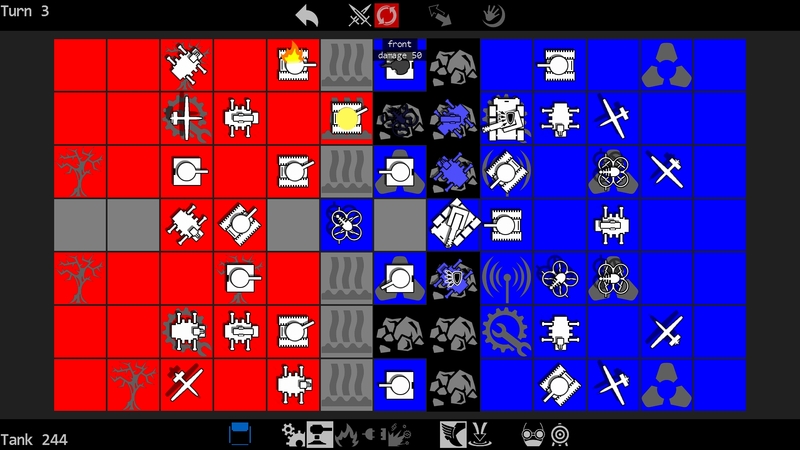 Droid Vanguard is a turn-based simple and easily learned, but thougthful and deep tactics game set in a futuristic setting. You use telepathic interface to control a droid platoon.Control your mighty droid unit and utilise many droid types available to win the combat using various tactics. Watch how perspective military technology from the near future unfolds on your enemy! Launch offensive on the all-powerful Control Tower in three single-player nonlinear campaigns. Compete with friends in fierce multiplayer battles. Collect plenty of achievements as you fight your way to the objective with various upgradable weapons and vehicles. 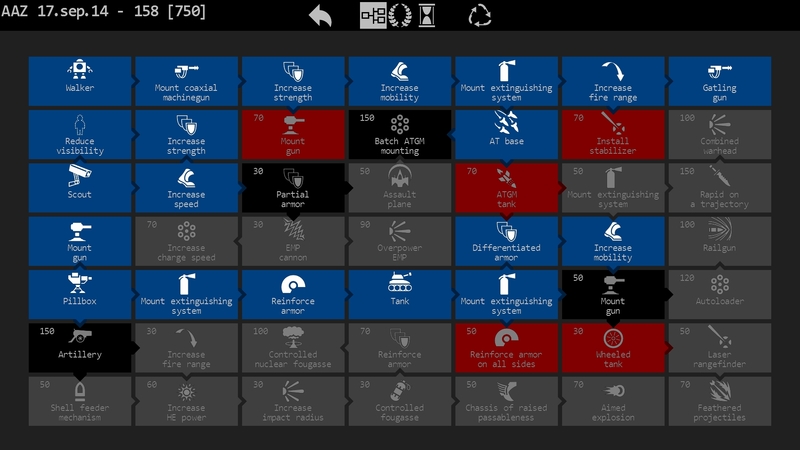 Improve your tactical skills by learning to use differentiated armor, destructible terrain features optimally. Plan your upgrade path considering tremendously raising unit costs. I just tried the demo. It's fun to see the "booting" screens! Specialy the first time. The game is fun too. The old GUI is original. It lacks a little help. Glad you liked Droids and the booting intro particularly. What kind of help you think it's missing? 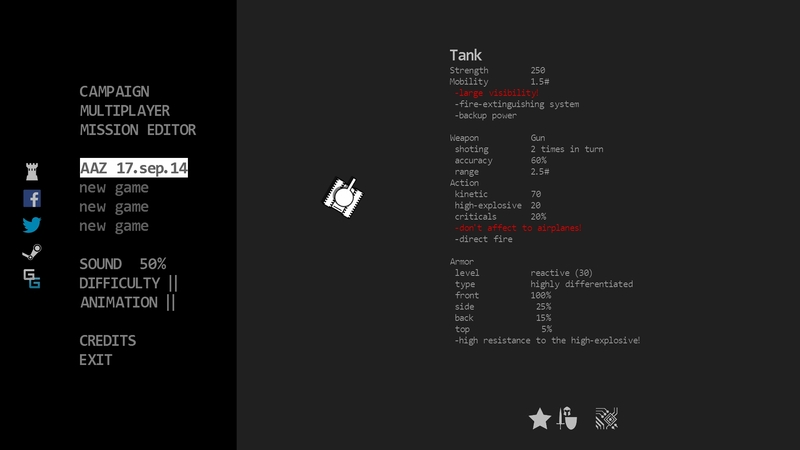 First four training missions introduce game mechanics and what to click. And the clicking is intuitive, or maybe I'm wrong? Yes. Shop uses the Xsolla payment aggregator. It has various local payment methods, including PayPal. I will do the 3 campaigns on basic difficult level, then I will retry them on medium level then a third time on high level. Do you think there is a list of user's created missions somewhere? And do you have a list of servers to play against other players? No, not yet. The game is new and not very known. You could help us by sharing it with your friends. I am stuck in Dead Valley (with units to be placed: 10/110). Before, I upgraded my Walkers. Before, they shot 2 times at range 1. Now they shoot 1 time at range 2.5 but with poor accuracy. 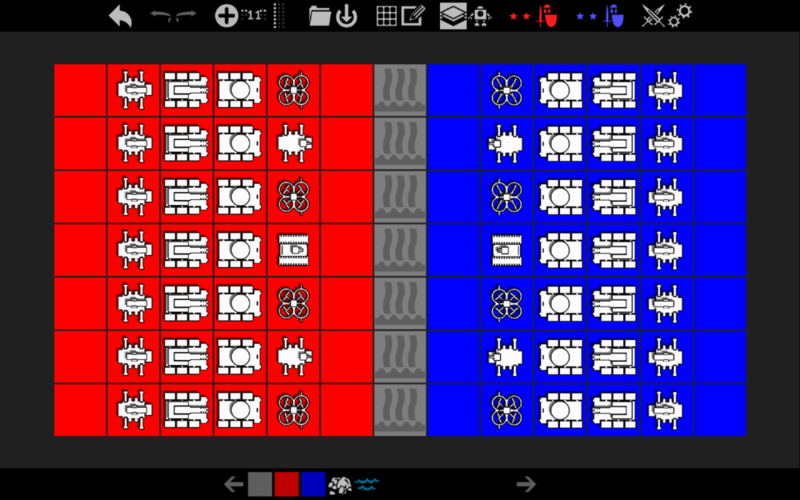 In this mission, the AI have more units, with drones and AT bases and Tanks. I have scouts, the upgraded walkers and AT bases. Can we downgrade the Walkers to the previous version (2 shoots at range 1 with better accuracy)? Can you give advices to fulfill this mission? Downgrade isn't possible. Take as many walkers as possible and a couple of AT bases. Use walkers to keep enemies away from AT bases and try to flank. If you have enough points left for scouts, try getting into the enemy's rear. Although, considering you're already at Dead Valley, you took a bad upgrade path. And the most difficult campaign! You must have tanks by this time here. Don't ignore EMP and arty, too. Next missions will be even more difficult. 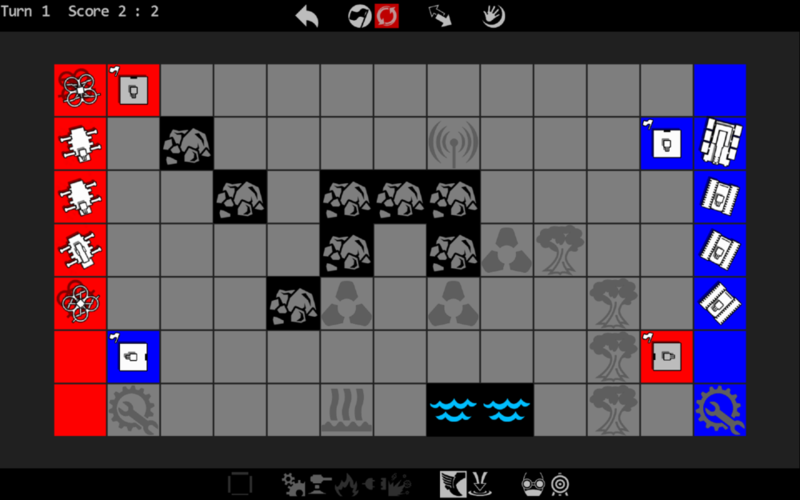 Try acquiring more points in branched missions. I will try to restart my campaing with another way (in both campaing and upgrade path). So, I restarted my campaing, I choose the first one ("First contact"). 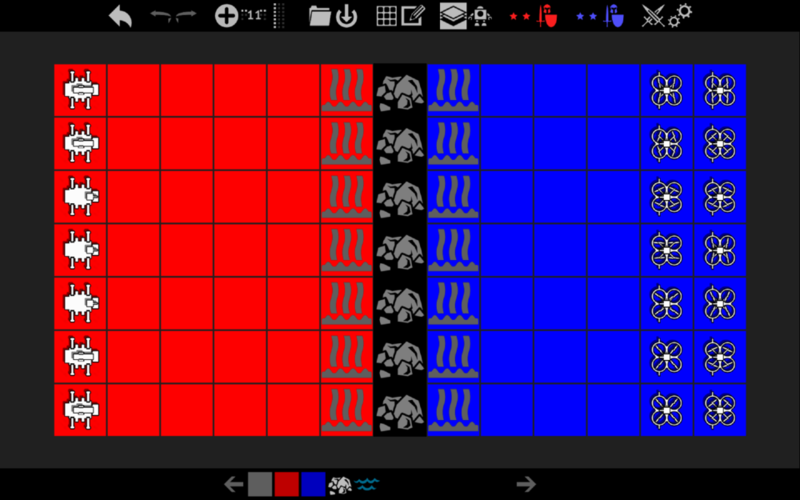 I made the first line, then the second one and I made the 2 last battles at the right of the screen (the last battle is "Control tower"). How can I play the 2 others campaings? "Descent" and "Hard road" are red since I started "First contact". Sorry for late reply. Create another profile, or reset this one. It's the only way. How did you like the campaign? Is it too hard (although it's probably better to compare with other campaigns)? The campaign First Contact was fine. I chose a good upgrade path for this campaign. I remember the third campaign, I was stuck in Dead Valley! I will try the second one. This is exactly what was intended, so you start all campaigns in the same conditions.